Fresh beef meat is getting really expensive these days. In Hong Kong, always eating at home does not always mean that you'll spend a lot less! 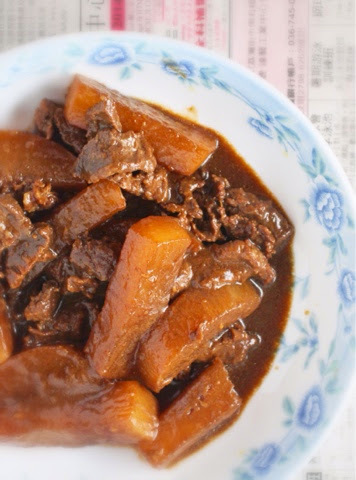 - HK$20 beef meat, sliced thinly just like for stir frying. This saves cooking time too. Saute garlic & ginger until fragrant. Add beef, add radish, add sauce, add water, cook until radish chunks are soft. 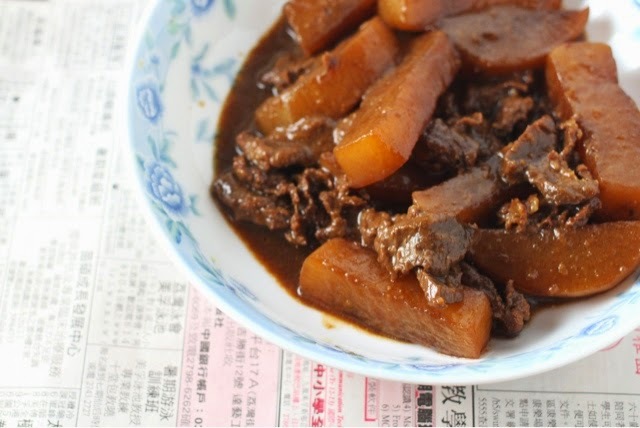 Enjoy it with 2 bowls of steamed rice or use it as noodles/pasta sauce.